"By far the best estate agent I have ever dealt with. Clear, concise, honest and personable. 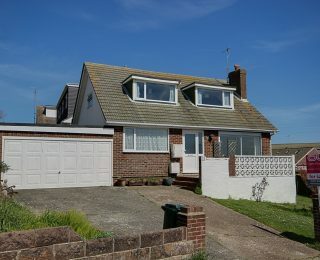 There is an overwhelming choice of estate agents to use in Sussex, and having used several over the years, Open House stand head and shoulders above the rest. " 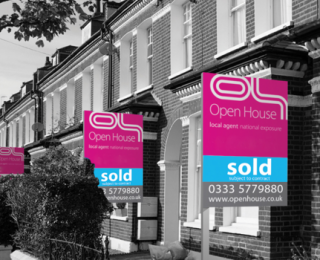 Selling with Open House will save you £1000’s, compared to other expensive high street agents while offering a more personalised experience with expert local knowledge. Internet prices without losing local expertise. Our agents know and understand your area, meaning we can provide the best service for all your property needs. Deciding on an Estate Agent to sell your home is a difficult decision. You want to make sure that your home is properly marketed and that your agent will do all in their power to gain you a sale at the best possible price in the least amount of time. To do this your agent has got to have experience and knowledge of the local area and be available to take calls out of normal office hours. Our unique pro-active sales approach ensures that you achieve a quick sale, not one that takes months or even years! With national coverage, local expertise, a huge online marketing network (including Rightmove, Prime Location and Zoopla), and telephone lines that are open 24/7; our qualified estate agents are committed to getting you the best possible price for your property. Find your perfect home and take a look at the full list of our properties. How do we do it for such a competitive rate? 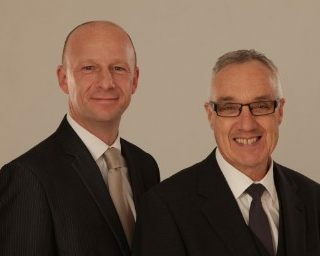 With over 29 years Estate Agency experience each, they are people you can trust with your property!